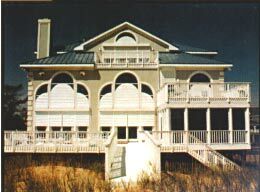 Gulf Coast Rolling Hurricane Shutters offer protection from Hurricanes, Storms & Tornadoes. These shutters are the strongest offered, so they have a dual purpose...Hurricane & Security. Manual & motorized styles are available for any size and shape window including sun roof and sunroom panels. Have the peace of mind, whether you are at home or away, that your home is protected. What Shutter Strength Do You Need For Hurricane Protection? RCE....... Extruded aluminum for extreme protection. TDI tested, 140mph/ impact resistant, approved for local building codes protecting Seaward areas of Gulf Coast Texas. Standards for Hurricane shutters vary throughout the country. Most codes are very stringent and change often. Gulf Coast Shutters strives to have shutters approved under as many codes as possible. Please contact us if you have questions about current requirements. Prepare Now For Hurricane Season. Windows and doors are the most vulnerable points of your home. 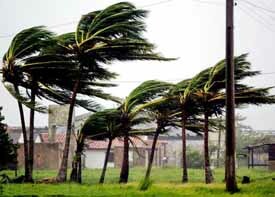 With Gulf Coast Rolling shutters they are protected from water leaks and damage caused by high winds. Every shutter is a unique product, custom made for the size and shape of your windows and doors. Choose what application that you need...and we will build your shutter to the required size, style and strength. You can choose manual or motorized operation (strap, crank, motor). Also automatic control systems (light, temperature, wind speed, time) and several other options. Hurricane season begins June 1st and extends through November 30. On average several hurricanes hit the US Gulf Coast during this period.